The sight of authentic Indian street confectioneries on a kitchen counter sparks a vital memory for Saroo, a university student who’s grown up in Tasmania, adopted by a loving native couple at the age of five. Now in his early twenties, he’s forgotten the first years of his life in India which resulted in being lost on the streets of Kolkata after being dragged thousands of miles away from his family after falling asleep on an empty train. The sight, smell and taste of the jalebi’s before him, brings the truth about his past back into Saroo’s conscience and he becomes riddled with pain, yearning for the mother and brother whom he abandoned unintentionally. Garth Davis’ Lion is the remarkable re-telling of a true story about a man in search of a past he never intended to leave behind. Divided into two clear parts, Lion is divided by two equally astonishing actors. The first half of Lion follows young Saroo’s treacherous journey from a humble but harmonious and loving life in his hometown, to the dangerous and sinister underbelly of Kolkata, to eventual sanctuary in Tasmania. It is eight-year-old Sunny Pawar who we welcome to the screen as this smart, vulnerable child – desperately lost and learning quickly in a foreign world which poses so many threats. Dev Patel, whose career continues to blossom and whose true abilities continue to reveal themselves gradually, takes the reigns for Lion’s second half. Here, Saroo is not only a promising and well-rounded adult but now sees himself as a native of his new homeland. There is no denying that the film is at its strongest in its first half, on the congested streets of Kolkata and the heavenly open spaces of rural India. Sunny Pawar’s performance is not only all in Hindi but it so visual – with Saroo’s vulnerability and loneliness visible on his face and in his captivating eyes. We experience the world from his eye-line, his perspective and experience his own uncertainties and confusion about the intentions of those around him who he often has no choice but to trust. The film’s second act still has so much to offer – the most powerful of which comes from Dev Patel and Nicole Kidman. Kidman is fantastic as Saroo’s adopted mother – loving and intense, blatantly aged by the challenges of raising two adopted boys, one of which comes with severe physical and mental challenges we can only presume are a result of a cruel childhood Saroo was lucky to escape. The introduction of brooding conversation and late night Google Earth searches certainly changes the pace and tone of Lion but Garth Davis starts to blend both halves together to produce a meditative and harmonious film about loss, love, identity and what it truly means to be home. 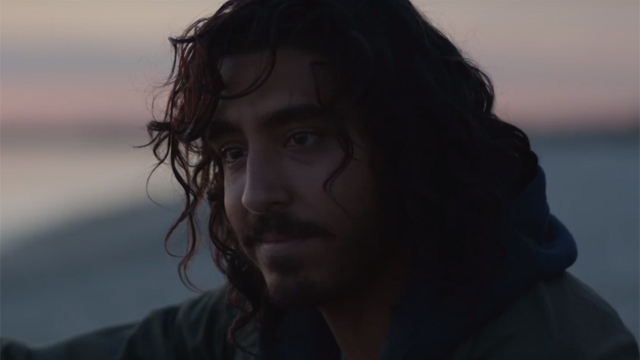 Lion is simply just beautiful and, despite a slight dip in the middle and a script that occasional wanders off course, it remains raw, tense and filled with both horror and happiness. It’s a story of human endeavour, sacrifice and the unwavering love that spans the years. Tags: Academy Awards, Cinema, Dev Patel, film, Film Review, Garth Davis, India, lion, Movie, Movie Review, Nicole Kidman, Review, Rooney Mara, sunny pawar, True Story. Bookmark the permalink.